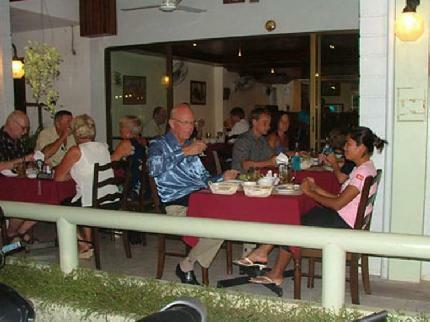 Description: Divers Inn is a friendly, cosy little hotel located centrally at Karon Beach, Phuket, Thailand. The hotel is located on a quiet street only a few minutes walking distance to the beach, shopping, restaurants and night-life. Hotel Name:Coral Island Resort 48/11 Choafa Rd. Description: Coral Island is outstanding, and comes closer than most to fulfilling that seductive mental image, we all seen to have of discovering a remote, perfect, untouched island escape, where the sand is pure and white, the water translucent, the sunsets religiously inspiring and the crowds for away. Description: Patong Voyage Place is a modern hotel located in Phuket, Thailand. Our facilities offer nothing less than comfort and relaxation with modern amenities.